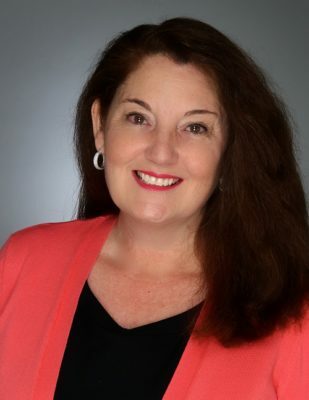 Leather care is easy with TriNova - Susan Said... WHAT?! Leather goods require regular care to stay looking their best. High quality cleaners, conditioners, and restorers are a must, since pieces dry out and eventually start to crack without proper maintenance. I wish I could say that I always stay on top of this chore. But, in addition to saddles, bridles, and all manner of horseback riding tack that my girls and I have acquired over the years, I also have a closet full of shoes, handbags and belts that would benefit from a little attention! Luckily, I don’t have to rely on old-fashioned saddle soap anymore. Now, caring for my leather goods is quite easy with TriNova Conditioner. This conditioner is safe for all surfaces — from the chair in my living room, to the seats in my car, to my favorite boots. TriNova Conditioner helps bring even neglected leather surfaces back to their original luster and vibrancy. And, the conditioner is very easy to use. Simply apply, dry, and buff. 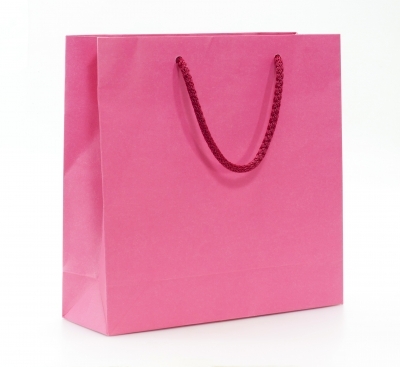 My first test was on a handbag that sees a lot of use. The surface is smooth, top grain leather. So, the bag was pricey enough that I certainly want to keep it for a while. I applied the TriNova Leather Conditioner, as per the instructions, using the applicator included. It did darken the color at first (minor panic attack! ), but dried to its regular shade. Then, I buffed it well after drying. The leather was softer, more pliable, and smoother on the test side. And, the small scuffs were less noticeable. My second test was on one of the pony bridles that has not been used for a few years. It’s been kept in the garage, with no maintenance. This was trickier, because the leather was very, very stiff. But, the conditioner did a good job of softening the piece, although it took a little more elbow grease than the handbag. And, the dull leather took on a very nice sheen. According to the TriNova literature, monthly use maintains natural suppleness, so to protect my investments, it looks like I need to be a bit more diligent. But, the best feature of this conditioner by far is that it provides a non-greasy finish and durable water protection using high-grade polymers. I absolutely love this because water spots from rain or snow on a leather handbag, coat, or new shoes are just heartbreaking. And, once those spots appear, they are hard (if not impossible) to reverse. TriNova Conditioner retails for $15.97 for an 8 oz. bottle on Amazon Prime. 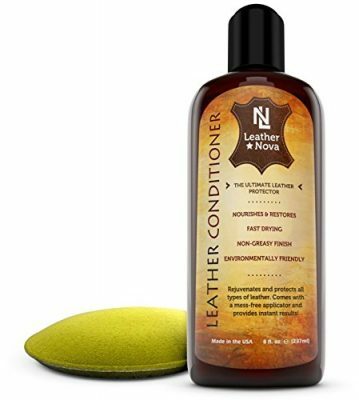 And, Leather Nova backs TriNova Conditioner, and all of their products, with a 365-day Satisfaction Guarantee. If you’re not satisfied, simply contact the company and get a full refund. PHOTOS: Used with permission by Leather Nova. DISCLAIMER: No financial compensation was received in exchange for this post. I did, however, receive a promotional sample of TriNova Conditioner mentioned above in order to fully evaluate the product. Regardless, I only recommend products or services I believe will be good for my readers. Separator image Posted in FABULOUS INTERIORS, STYLISH KIDS, WOMEN'S FASHION and tagged with leather care, leather maintenance. 12 ways to wear denim… besides jeans!